Daniel Loeb Sony breakup: Hedge fund manager wants Japanese giant to spin off its entertainment division. 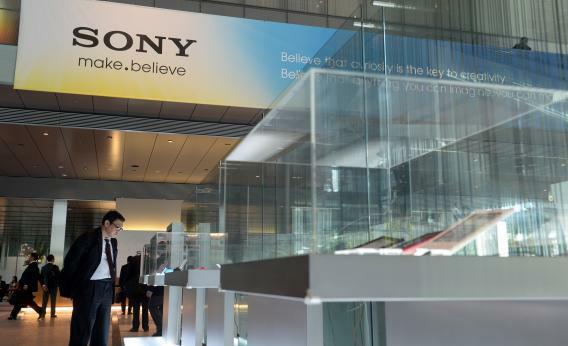 Sony, the world’s once-dominant electronics manufacturer, has seen its fortunes decline precipitously over the past decade. But alongside its Asia-based electronics business it also runs a very large U.S.-based entertainment vision focused in film, television, and music. Now investment manager Daniel Loeb wants to shake things up. He’s taken a 6.4 percent stake in the company and is urging it to undertake a number of reforms, including most notably spinning the entertainment division off as a separate firm. Loeb’s basic analysis is that the entertainment division is a high-performing high-margin business compared to other Sony lines of business but a low-performing low-margin business compared to comparable entertainment companies. He wants to spin it off with existing Sony shareholders retaining a large stake, which he believes will allow it to capture the higher margins seen in other entertainment firms. Then rump Sony would be left as an electronics and manufacturing company that has a lot of problems but is making considerable progress and stands to benefit massively from the rise of Abenomics. It’s an interesting proposition. Loeb is currently flush with success since he led the charge to oust Yahoo’s previous management and bringing in Marissa Mayer has made the company seem relevant again. What’s more, at this point Sony really does look like a classic case of a uselessly overextended conglomerate. Sony doesn’t attempt to create synergies between its content and hardware businesses (you don’t need to own a Sony devise to listen to a Taylor Swift song) so there’s no particular reason to keep them under one roof. I’m happy to sing the praises of ego-driven empire-building CEOs but Sonys not doing anything interesting with this diverse line of businesses.